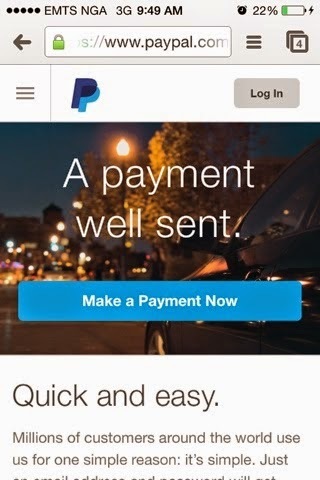 Yimiton's Blog: Finally, Paypal is active in Nigeria! Just opened mine. Finally, Paypal is active in Nigeria! Just opened mine. I was lounging with my dear husband yesterday evening when he mentioned that PayPal has come to Nigeria. Trust me, I ran to Mr. google for divination and was super excited when I discovered it was true. I tried to open an account immediately but couldn't until this morning when I tried again and lo and behold, I opened one. Now that PayPal is in Nigeria, I'm wondering what all the hype was about. I can buy anything on almost any site using my mastercard so, what's the big deal. Big deal for me is that google adsense can now pay me directly for adverts on my blog, though, adverts have been deactivated again on my blog..(gist for another day) but it's good to know that I can be paid when the time comes. I can also use ebay if I like and there some other nice benefits to using paypal that Mastercard does not offer, aside from all these, it's just good to know that we can use PayPal jor. To open your own PayPal account, simply click on PayPal and sign up. It's pretty easy and straight forward. Enjoy using PayPal while very careful though, it's quite easy for people to use your account for fraudulent activities. Nice one but trust PayPal...some restrictions still in place as Nigerians may not be able to receive funds but only send and buy stuffs. Anyway, things are getting better. For now, you can only make payments and online and send payments but I believe all restrictions will be raised once they see how many people use PayPal in Nigeria. Nigeria is a potential big market for them. HEY ONAYIMI... ALL THE TEARS WE'VE BEEN SHARING, DISRIZ GOD :D _I ALSO NORMALLY DO USE MY NAIRA MASTER CARD FOR PURCHASE, THINGS ARE GETTING BETTER NOW THANK GOD. WHILE FILLING THE FORM, DO YOU ADVICE I LINK MY MASTER CARD TO MY ACCOUNT? DOES IT MEAN IF I DONT LINK IT, I WOULD NOT BE ABLE TO FUND MY ACCOUNT? When registering you must link your Master Card to your paypal account or else it won't be verified. One thing I'm sure of is, when PayPal sees the magnitude of Nigerians doing online business, they will come begging us to use their services free of charge. 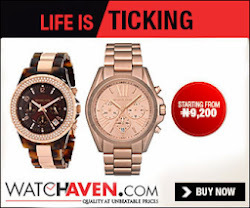 They don't know that Nigeria is a very big market; now they want to stylishly penetrate Nigerian market. Just wait and see! Visit my website @ www.ebooksvale.com for useful resources or simply click on my name to navigate to the website. Nigeria still has some restrictions with PayPal. Would buying a USA PayPal account from Auction Essistance help bypass some of these instructions.